JACKSONVILLE, Fla. - A beloved Jacksonville seafood restaurant is filing for bankruptcy after losing months of business last year because of Hurricane Irma. Clark's Fish Camp & Seafood Inc. filed for a Chapter 11 bankruptcy restructuring, as first reported by the Jax Daily Record. The restaurant's attorney, William McDaniel, told the Daily Record that customers won't notice any changes and that Clark's will continue to operate normally. The highly popular seafood stop on Hood Landing Road along Julington Creek was flooded during Hurricane Irma and had to close form Sept. 8-Nov. 11, putting Clark's “a little bit behind” on its long-term debt, McDaniel told the Daily Record. According to the financial publication, Clark's biggest debt is $566,000 owed to BBVA Compass Bank for the 12,000-square-foot property's mortgage. The property is valued at $1.5 million, court documents said. McDaniel told the Daily Record that he didn't have a timetable for how long the Chapter 11 process would take. On April 11, 2018 Clark's Fish Camp & Seafood, Inc. ("Clark's") filed a voluntary petition under Chapter 11 of the United States Bankruptcy Code. "First and foremost: Clark's is not closing. We will continue to provide the same quality dining experience to our patrons that we have provided since 1974 and will continue to pay our current payables as they become due. 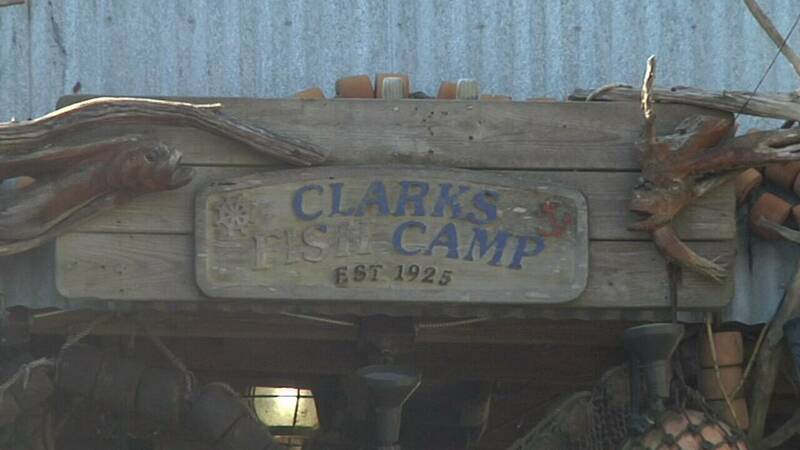 Clark's is still in control of its operations and business will continue as usual. The reorganization process under the Chapter 11 ensures there will be no interruptions in our operations while we restructure our obligations to our creditors. "The decision for us to utilize a Chapter 11 reorganization was not one made hastily. As many patrons of Clark's know, hurricanes Matthew and Irma caused significant damage to the restaurant and required us to close for prolonged periods of time in 2016 and 2017. The combined losses associated with the property damage and loss of income due to the closures put us in a financial position where we were unable to timely satisfy all of our creditors. "The protections afforded by the Chapter 11 provide the breathing room Clark's needs to recover from the 2016 and 2017 hurricane seasons, increase our operations, and to repay our creditors in an orderly and fair manner. I believe the rest of 2018 and beyond will be great years for Clark's and I look forward to continuing our tradition of service. "On behalf of the entire Clark's family, I invite you to come dine with us to see for yourself that we are as committed as ever to providing great food and service in Clark's signature atmosphere." For more on this story, go to jaxdailyrecord.com.